International joint integrity specialist Hydratight has launched the new Gripping Socket™ torque accessory, which is designed to significantly improve operator safety during bolting operations. The socket has been precision-engineered to grip onto a nut during the bolting process, reducing the need for the user to manually stabilise square-driven hydraulic wrenches. This gripping feature also enables the operator to perform bolting using a remote operating device, keeping vulnerable parts of the body such as hands and fingers away from pinch points and pressurised hydraulic connections. 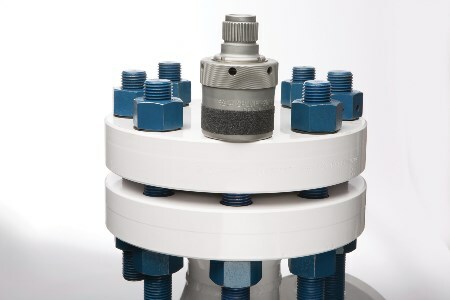 The socket’s versatility is also enhanced by its ability to be used in any orientation on standard hexagonal nuts, including inverted positions. This reduces the potentially harmful effects of operator fatigue or tool slippage when under load. Aditi Kulkarni, Product Marketing Manager at Hydratight, said: “The Gripping Socket’s capabilities are designed to improve operator safety while simultaneously increasing efficiency. “Gripping Sockets are available in a format compatible with Hydratight’s lightweight hydraulic torque wrenches, previously known as the RSL format, as well as universal square drives. This makes them suitable for a diverse range of applications. Each and every Gripping Socket model is designed to retain the grip capacity of approximately 10 times the weight of the largest Hydratight wrench for that particular sized socket, subject to nut conditions. Orders for the new tool are now being taken by Hydratight.